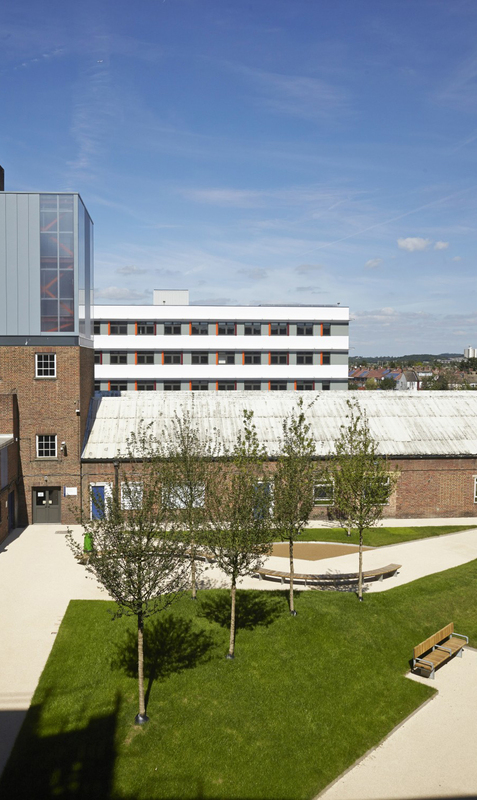 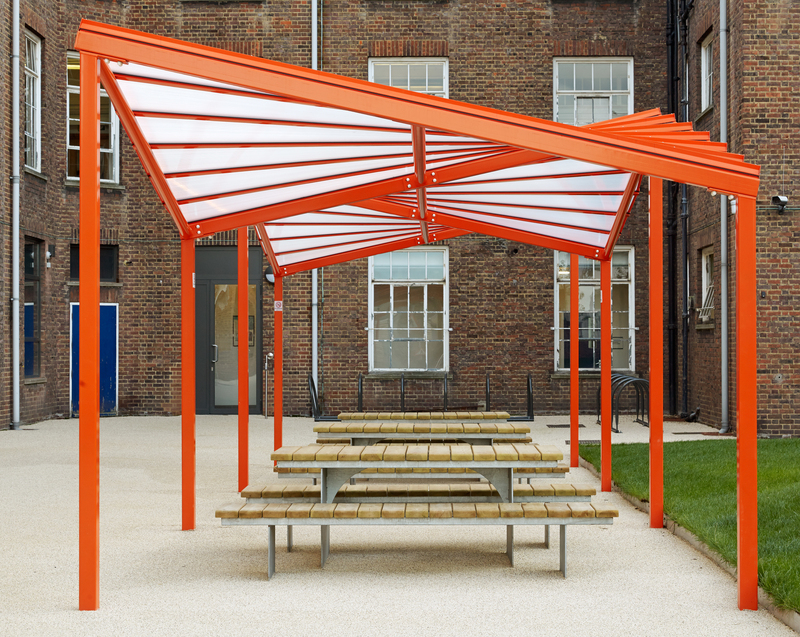 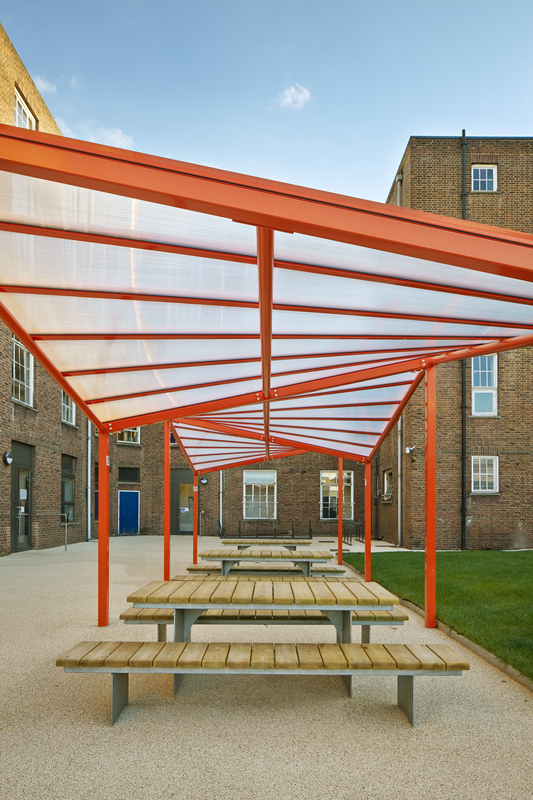 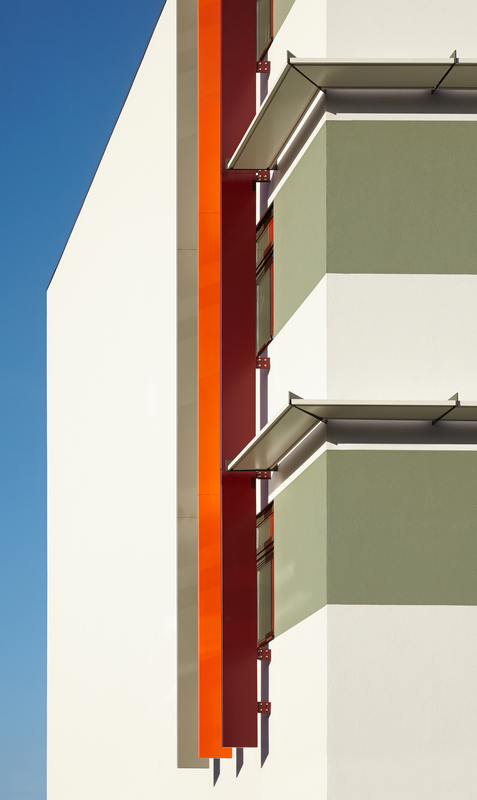 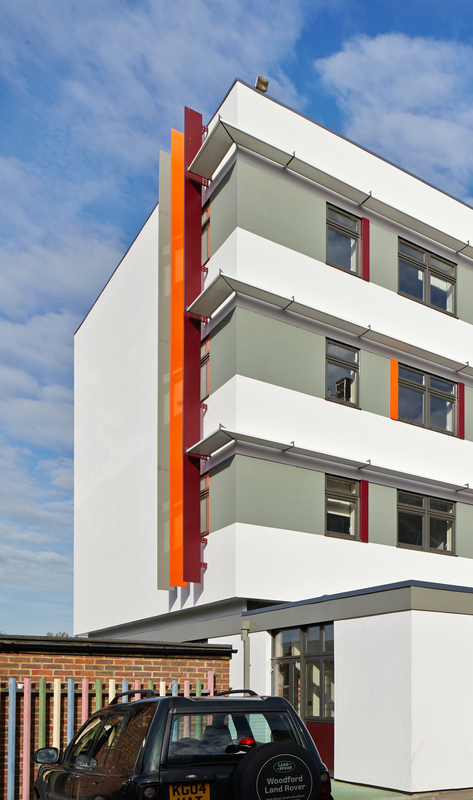 This £4.9 million development, which marks the second phase of our work for Waltham Forest College in collaboration with Richard Hopkinson Architects, continues to upgrade routes and maximise the use of previously underused or redundant spaces. 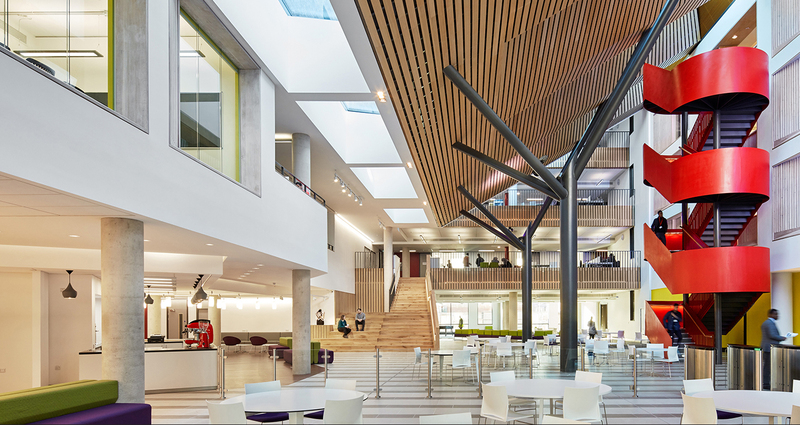 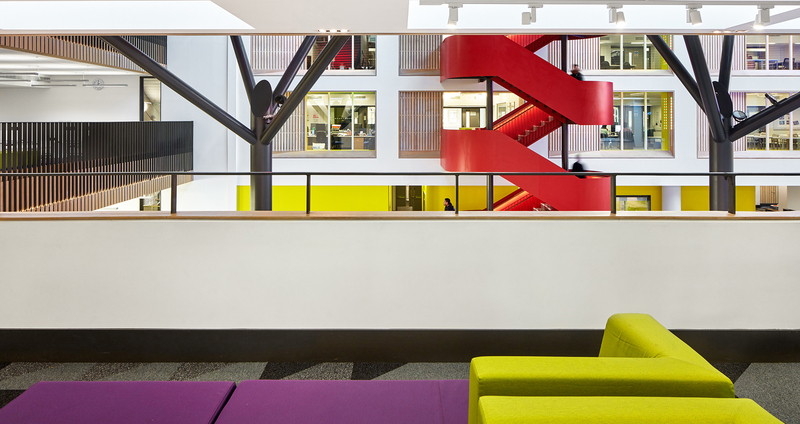 Above the entrance lobby a new student zone offers a place for relaxation and extracurricular activities alongside a mezzanine floor dedicated to the Students Union. 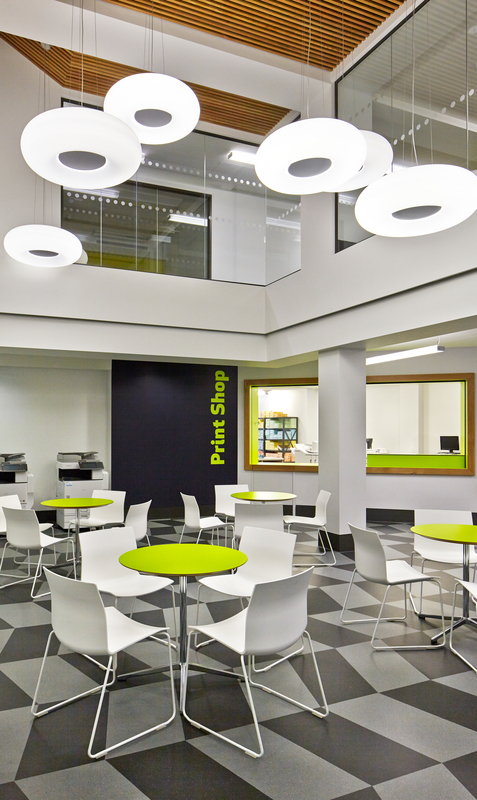 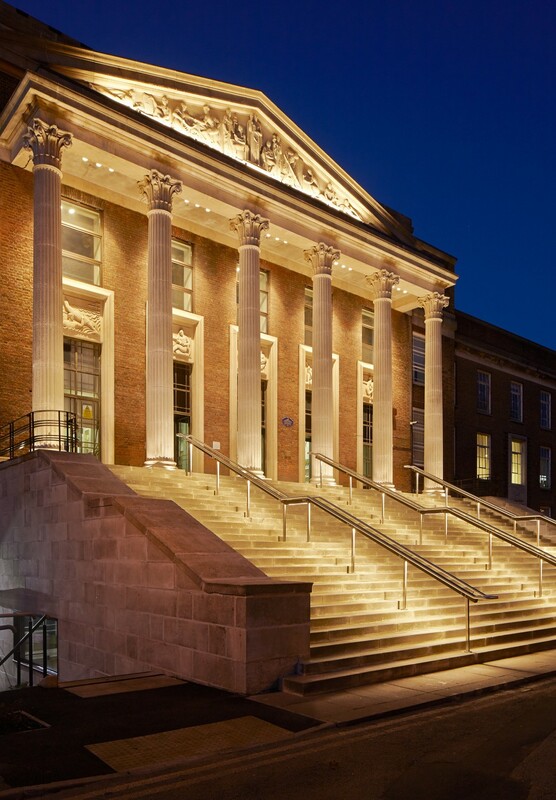 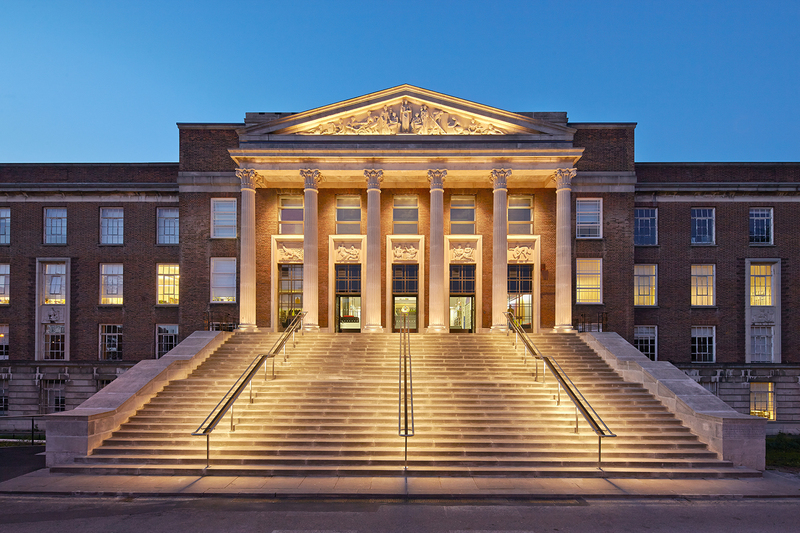 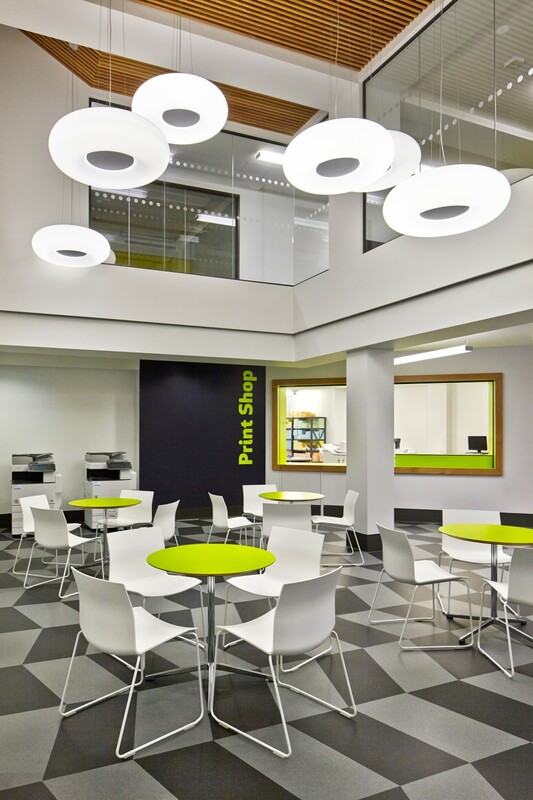 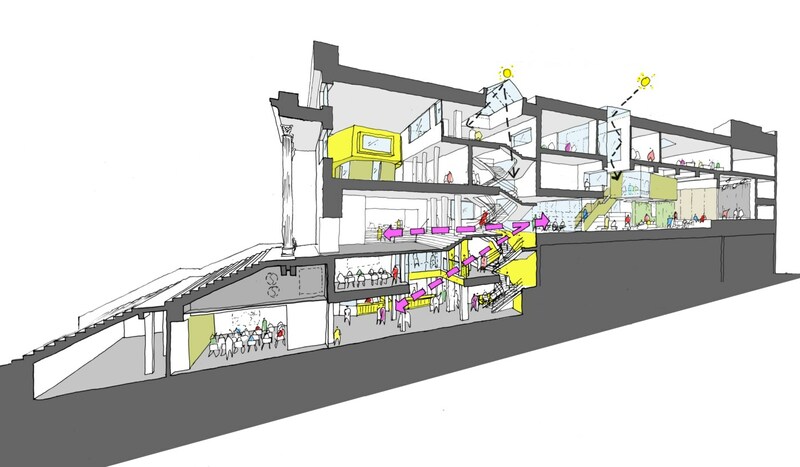 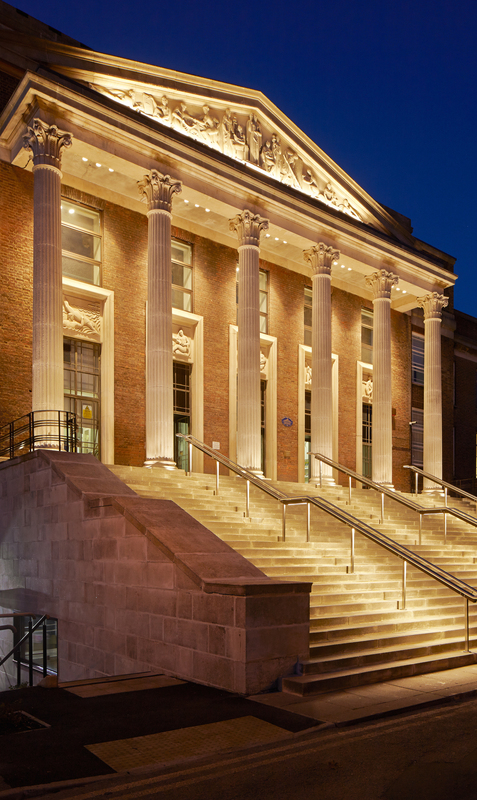 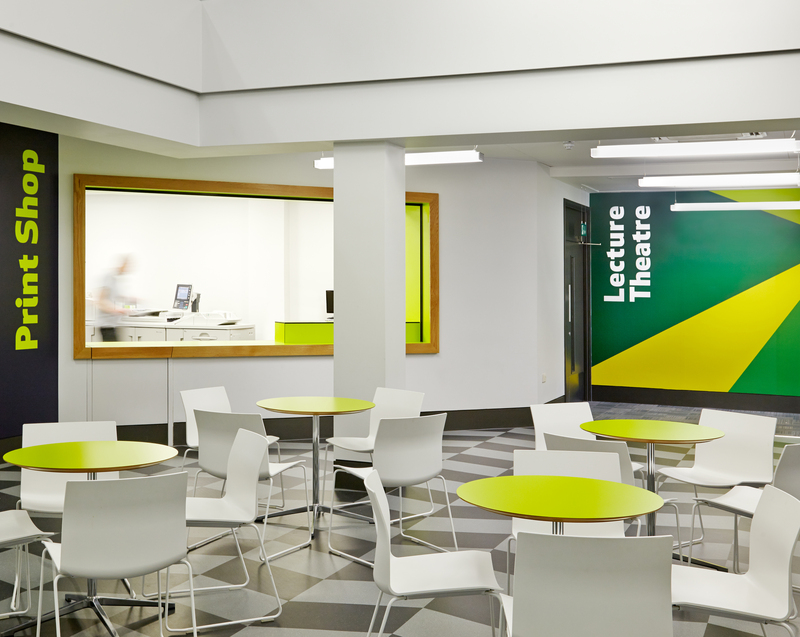 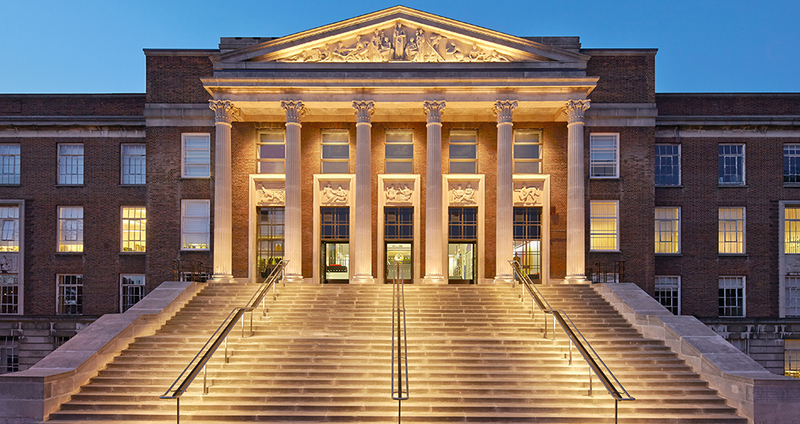 On the ground floor, the large unused area beneath the main entrance steps has been refurbished to create a 70-seater lecture theatre and an innovative Market Place incorporating a butchery, a bakery, a reprographics and stationary centre and a start-up business incubator. 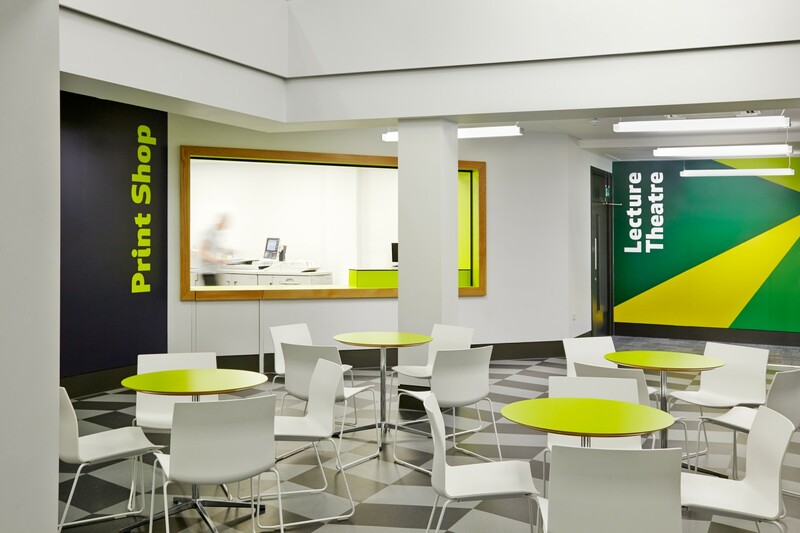 The 1970s Lowery Centre has been re-clad and the fashion department's workshops renovated to produce bright modern workspaces. 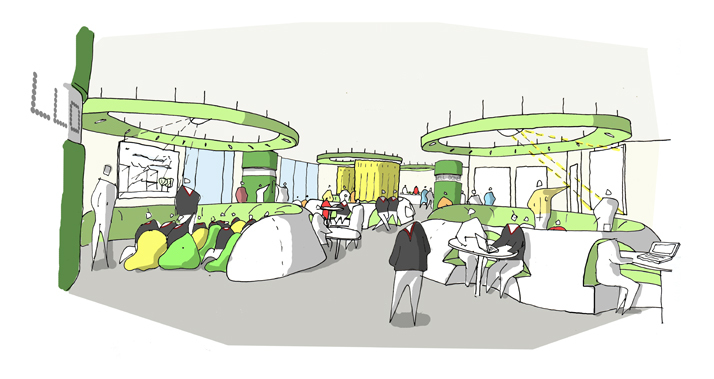 The scheme also includes a Young Persons Learning Centre incorporating a workshop, a life skills classroom, a light craft room and flexible teaching space. 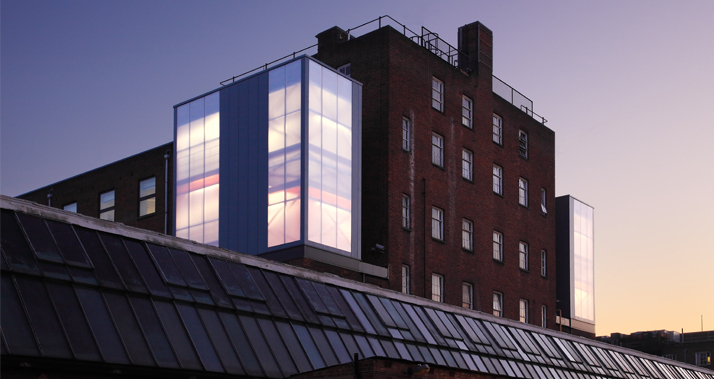 The Centre will have direct access to a landscaped courtyard.